Applies only to registered customers, may vary when logged in. 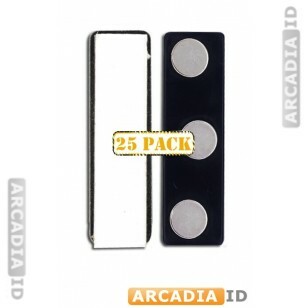 This listing is for packs of 25 magnetic ID clips. These clips are perfect for quickly attaching your ID cards to various metallic surfaces and for removing them just as easily. Can't find what you're looking for? Then call us now for more information. What's included in a kit? Add us on Google Plus! Copyright © 2006-2018 by Project Arcadia LLC.